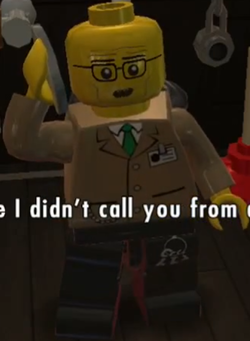 Warden Stonewall is one of the characters in the video game LEGO City Undercover. He is the new prison warden in Albatross Prison, taking over from Warden Fielding. Warden Stonewall is a criminal himself. In preliminary versions, he wore the same cap that Quentin Spencer wears. He has the same moveset as Doorlock Homes.